The field of bladder cancer treatment is developing at lightning speed, but the future doesn’t necessarily belong exclusively to immunotherapy. 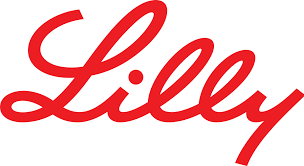 New data presented today at ESMO shows Lilly’s Cyramza (ramucirumab) plus docetaxel improves progression-free survival in patients with advanced or metastatic urothelial cancer who have progressed on platinum-based chemotherapy. Lilly began its trials of the drug two years ago when there were no immunotherapies (IO) approved in these patients. Now there are no fewer than four: Merck’s Keytruda, BMS’ Opdivo, Roche’s Tecentriq and AstraZeneca’s Imfinzi. However, checkpoint inhibitors are only effective in around 25% of patients with platinum-refractory advanced or metastatic urothelial cancer, and there are few options for those who progress or are ineligible. A phase 2 study of Cymraza found that adding the (VEGFR-2) antibody ramucirumab to docetaxel nearly doubled progression-free survival compared to docetaxel alone in patients with platinum-refractory advanced or metastatic urothelial cancer. That’s why Lilly believes it’s drug may yet have a bright future in this setting. Its phase 3 RANGE trial was presented today at ESMO in Madrid, the trial studying 530 patients with advanced or metastatic urothelial cancer who had progressed on first line platinum-based chemotherapy within the previous 14 months. Patients were randomised 1:1 to ramucirumab plus docetaxel (263 patients) versus placebo plus docetaxel (267 patients). However, other experts in the field aren’t getting carried away just yet, as overall survival data hasn’t been presented. “We need to know if the improvement in progression-free survival translates into an overall survival benefit,” continued Cathomas. He points out that other trials combining chemotherapy with angiogenesis inhibitors in different cancers have produced very small PFS survival benefits which often does not translate into overall survival. As in other cancer types, trials of combinations of IO and non-IO agents are underway. Exelixis and Ipsen have prsented phase 1 data on their drug cabozantinib in combination with BMS’ Opdivo (nivolumab) known as ‘CaboNivo’ with or without BMS’ Yervoy (ipilimumab) in metastatic urothelial carcinoma (mUC) and other genitourinary (GU) malignancies.